The question seemed like such a simple one. I asked a group of senior leaders in an organization how they would invest 100 hours of their time over the next two weeks if all of their day-to-day responsibilities were removed from them. They could only focus on activities that would move the organization forward. I additionally asked them to break down the 100 hours by project or goal. Easy, right? It’s hard to think strategically when we spend so much time maintaining the status quo. Between our brain’s desire to see things finished, the appeal of the urgent, and our desire for finding that “perfect time” to work on something, it’s no wonder we default to working on maintenance tasks. We have to be intentional about training our brains to focus on the future. 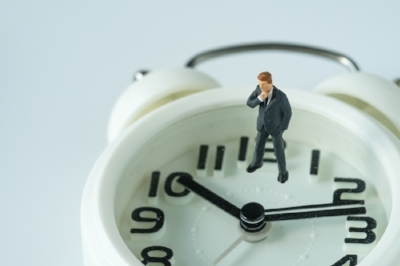 The activity also shows the conundrum we face when a block of time “shows up” in our schedule. We don’t immediately think about how we could best use that time, so we wander it away. We’re not always good at figuring out where our time should be invested. Even after identifying some areas of focus, the team members were uncertain with how they would divide out their time resources. While they didn’t say it with their words, I could read their faces. They were thinking, “All these areas are important! I want to work on all of them.” And that thought process is what can sometimes lead us to not work on any of them. The choice can feel overwhelming or we are paralyzed by FOMO (Fear of Missing Out), so we return to activities with a more comfortable outcome. Solution: Ask yourself, “What is most limiting my personal success?” or “What is most limiting our success as a team?” Once identified, make a quick list of steps you could take to address this area. Break down one of the initial steps into activities that would take no more than 15 minutes to complete. And then schedule these activities into the time block discussed earlier. Every minute really does count if we want to move beyond the status quo. I hated to ask the question, “If you think it was hard to plan for accomplishment of these things when you had no normal responsibilities, how will you get them done when we add everything back to your schedule?,” because it can be so demoralizing. It reminds them (and us), however, that if we aren’t more intentional about planning our days, building boundaries with our schedules, and being militant about handling our distractions, our goals for the future will surely be lost. Solution: Keep a time log of how you are actually using your time over a period of one week. Be more mindful of those moments when you almost worked on a forward-moving activity, but instead chose a maintenance-type task. What were the triggers that got you off course, and how can you better manage them in the coming week? One highlight for me during the exercise was hearing several of the team members talk about how they would use some of their 100 hours to simply “be.” To think, reflect, relax, or recharge. They recognized the value of investing in yourself before trying to invest in others. Bravo! At the end of the day I had the chance to talk with some team members about how to have more of these moments of sacred idleness even with a crazy busy schedule. So, how would you invest 100 hours? More importantly, how will you invest the next 60 minutes?